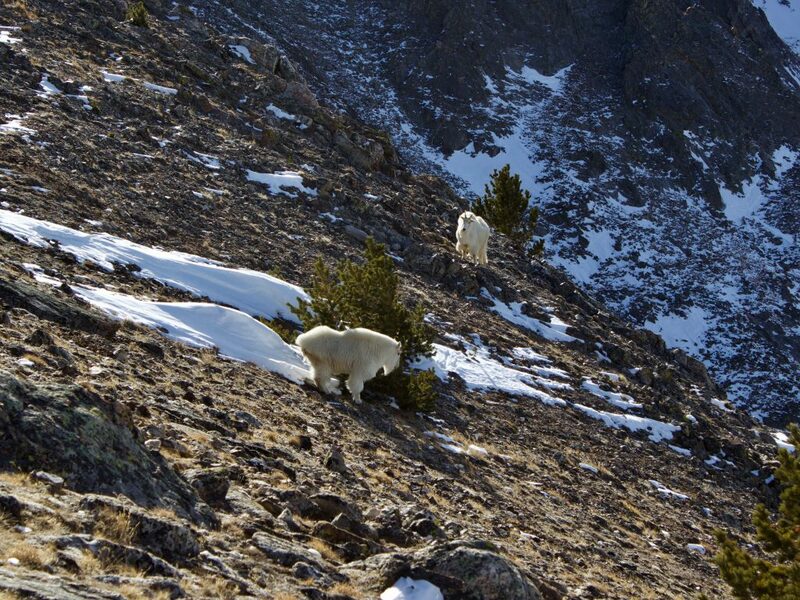 For those that recreate in the lofty mountains of Summit County, variable conditions involving both powder and hard pack snow exposed rock and wild grasses, dense thickets of pine and expansive alpine tundra, are seemingly the norm. Utilizing the correct gear to handle these conflicting conditions allow you to travel further, higher, and deeper, all while keeping the fun factor numero uno. 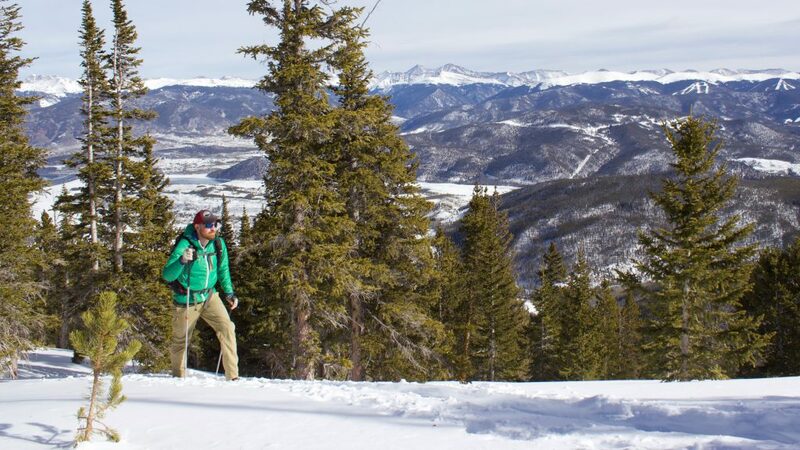 The Flex VRT snowshoes by Tubbs are a top-shelf backcountry tool to ascend peaks with both security and comfort. 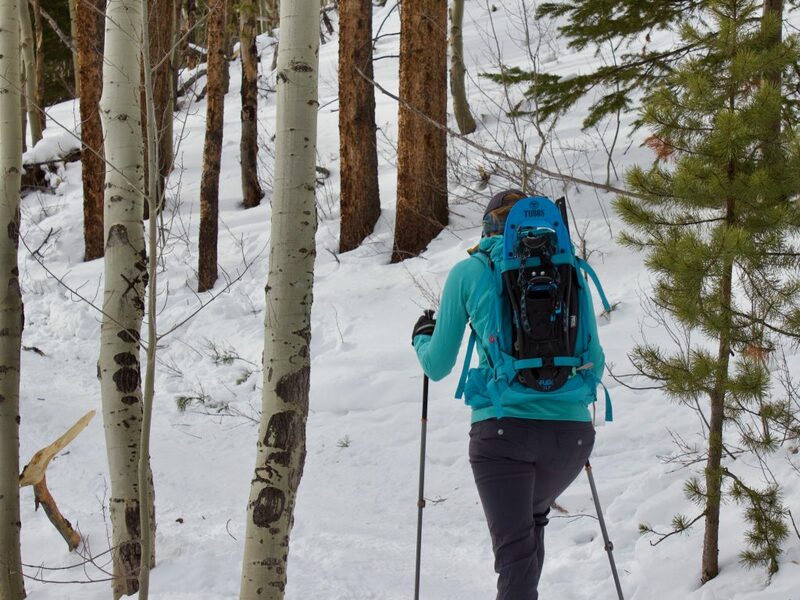 My wife (rocking the Tubbs Flex ALP snowshoes, pictured below) and I left the trailhead in Frisco, Colorado under bluebird skies in the heart of winter, and set our sights on Peak 1, the first major peak from the North in the Tenmile Range. In my experience as a year-round mountain guide, rarely does a snowbound adventurer solely find blower pow along the full length of their endeavor. Our trail upwards would include the smorgasbord of variable conditions, starting with a hard packed path to Mt Royal, then deep powder snow onwards to Mt Victoria, and finally exposed sharks of rock and ice towards the summit of our objective. For testing what the Flex VRT snowshoes could handle, this was a fairly all-encompassing case study; and frankly, they did not disappoint. My wife, Naomi Shuey, rocking the Tubbs Flex ALP Women’s Snowshoes. 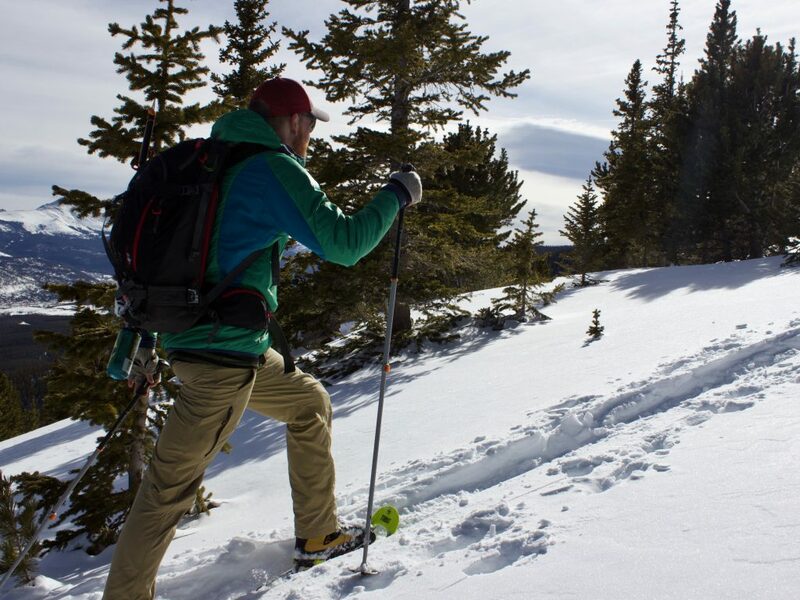 When differentiating between a pair of snowshoes, the technical debate largely falls into four categories: bindings, crampons, weight, and floatation. The Flex VRT binding consists of a BOA closure system across the forefoot and instep, and a rubber strap around the heel. As is inherent with all wire lacing systems, durability could potentially be an issue, but the ability to accurately fine-tune the comfort/security balance with the BOA system was a major plus. I chose to use a B3 mountaineering style boot which felt snug and supportive in the binding, yet one could easily use a more classic B1 hiking boot as well. Another real gem of a feature I’ll include in the bindings section was the heel riser. A clever design lets you use the handle of your trekking pole to manipulate the riser up and down easily while staying securely locked in place on a steep, wind-crusted slope. On the flats and while descending, you get a wider range of motion with the riser down, but on a steeper ascent, the riser reduces fatigue in your calves by preventing your heel from lowering back down the slope. On hardpack during the initial third of the hike and the wind crust and ice up higher, the crampons began to shine. With two front points attached to the pivoting section of the shoe just below the toes and a row of sharpened teeth along the rim of each side of the shoe, the security of grip on a steep, hard-packed slope was superb. 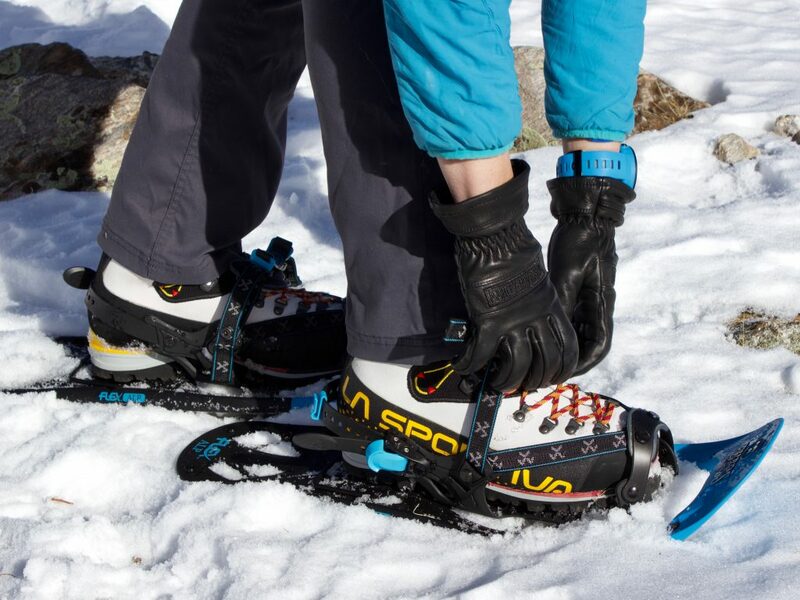 The crampons dug into the hard snow as intended without catching up on an uneven surface due to the well-designed pivoting action. The hardened steel teeth saw very little abuse after traversing along sections of exposed rock. As with boots, when lifting your foot thousands of times on a hike, weight plays a crucial role in your energy conservation and comfort. At only 4.5 lbs per pair for size 24, the Flex VRT’s are the lightest snowshoes I have worn without compromising in other categories. These weight savings will be noticed whether on your feet or stashed on the side of your pack. The lightweight and flexible tail allowed for a smooth rolling motion to keep your cadence and gait natural. The surface area of the shoe, including the rounded front, sides, and tail, provided ample flotation when plunging through deep powder. The 24 inch version (also available in 28) boasts a surface area of 165 sq in and being a 175-pound human, I found this to be sufficient in keeping me from dropping too far into the soft snow. 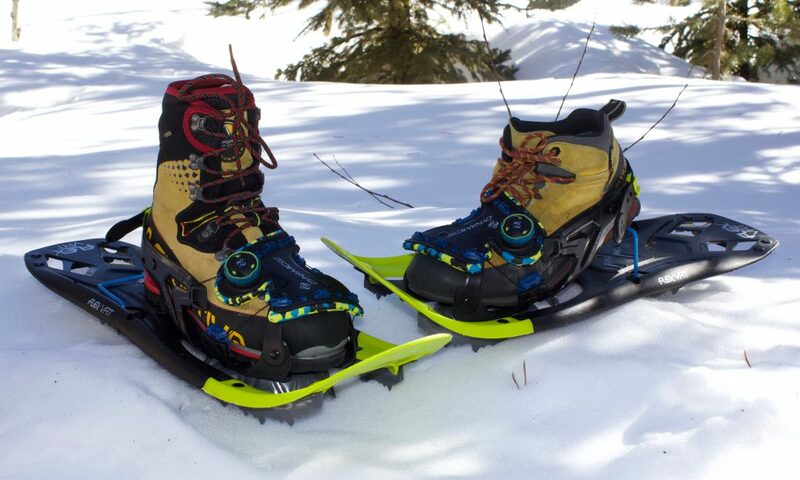 I found the Flex VRT by Tubbs to include everything I look for in a snowshoe when taking clients on a winter peak ascent or on a personal mission deep into the backcountry. The lightweight, smooth walking body and tail of the shoe was excellent in minimizing fatigue and maximizing efficiency for long days in mountainous terrain. What the bindings may lack in durability, they make up for tenfold in being easily adjustable while providing both comfort and security. I give these snowshoes 5 stars and would absolutely recommend them to clients and friends alike. Shop Tubbs on Outdoor Prolink. Not a member? Apply today! 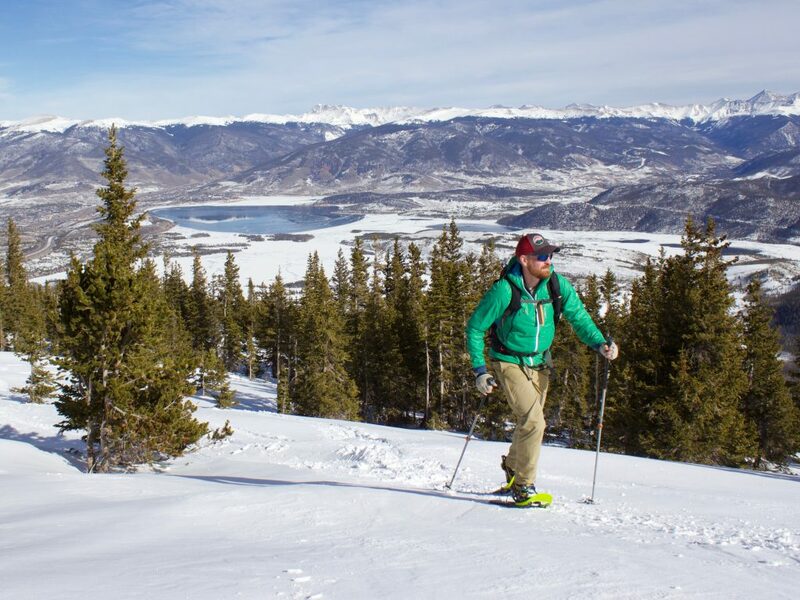 Dave Shuey is a year-round mountain guide with Colorado Adventure Guides, located in beautiful Breckinridge, Colorado.He takes pride in taking his clients to new heights and pushing past perceived limitations to achieve their goals. During the shoulder seasons, he and his wife take to the road in their camper van to climb, ski, hike, and explore the places that continually inspire them. 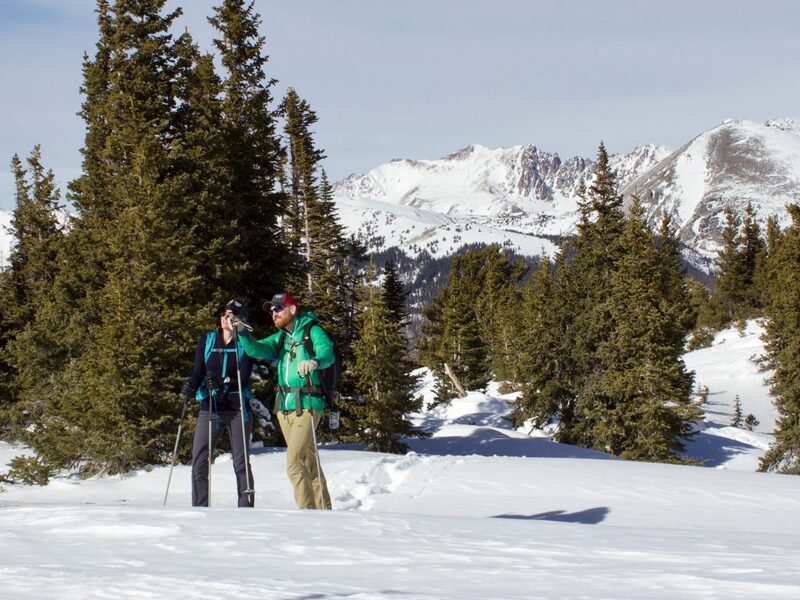 Dave and his wife live in the snowy heights of Summit County, Colorado to expand their mountain skills towards alpinism and skiing. Within this terrain, he is able to share with others his love and optimism towards climbing, skiing, hiking and exploring the places that continually inspire him. Dave continues to seek guide certification through professional organizations such as the AMGA, WMI and AIARE with programs in climbing/skiing, wilderness medicine and snow safety.